Choosing a Metairie dentist to care for your smile isn’t always an easy decision. You probably won’t be able to just walk into the first dentist’s office you see and feel right at home -- instead, you will need to take the time to do some research in order to find the best fit for you and your family. If you are looking for a Metairie dentist, you will see there is no shortage of options in our area. How to choose? Keep reading for Dr. James Nelson’s tips on what to consider during your search to make sure you and your loved ones visit the very best. What Are the Dental Services Offered? People’s oral health needs change as they age. 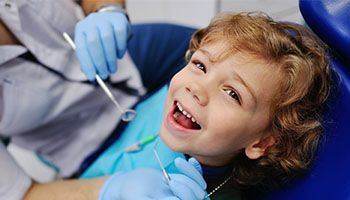 A child, for example, needs more help fighting against cavities -- while your own requirements at the dentist may include treating chronic gum disease or replacing missing teeth. Choosing a dentist that offers a variety of services will make your life a lot easier in the long run. Maybe you don’t need a dental implant or cosmetic dentistry services now, but you never know when you will -- and you do not want to have to start your search for a quality dentist all over again when the time comes for more specialized care. As you begin your search, look out for these services which serve patients of all ages. Dr. Nelson and our team are pleased to offer all of these services -- and many more -- to help meet the needs of patients of all ages. 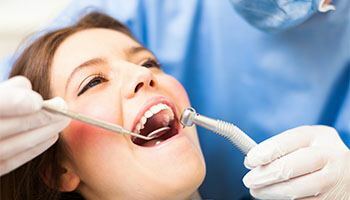 And if the thought of visiting the dentist makes you a little (or a lot) nervous, we even offer sedation dentistry to help you feel right at ease in the dental chair. What Is the Dentist’s Expertise? The dentist that you are considering may have a special passion or expertise, like tooth replacement or cosmetic dentistry. Knowing what it is can help you align your personal smile goals with the practice that will help you reach them best. For example, it may not make much sense to visit a dentist who specializes in porcelain veneers and cosmetic smile makeovers if you have significant restorative needs, like root canal therapy and tooth replacement. Talking to the dentist’s team can give you an idea of whether or not your particular needs will be met visiting that office. Does the Dentist Value Continuing Education? An excellent dentist knows their education is not complete when they graduate from dental school. If anything, it is just beginning. What’s more, dental technology is constantly improving -- and you want to visit a dentist who stays abreast of these advancements. Check to make sure that your dentist stays up-to-date by taking advantage of continuing education opportunities, like the Spear Institute or the Heartland Aesthetic Continuum. Dr. Nelson has completed advanced training with both of these groups. Membership in professional organizations like the American Dental Association also indicates a real commitment to providing the very best in dental care. Do They Accept Your Insurance or Offer Financing? 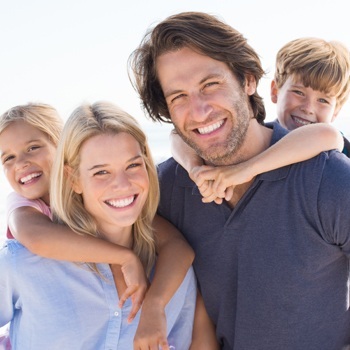 Visiting the dentist is an important investment for your and your family’s lasting health. 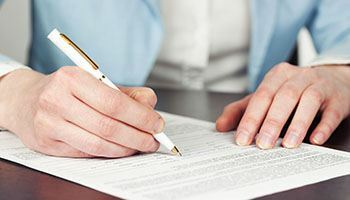 If you have dental insurance to help pay for dental care, you want to make sure that you visit a dentist who is either in-network with your plan or who accepts your benefits. Working with a team of experts will help you understand what you are eligible for and how you can make the most out of your investment from year to year. However, your access to excellent dental care should not be impacted if you do not have dental insurance. Look for dentists who offer financing options -- like Dr. Nelson, who works with CareCredit, the third-party financier. This option functions like a credit card that you use solely for medical expenses. Simply swipe it at the time of your appointment and make payments at the predetermined rate that works best for you. Are the Office Hours and Location Convenient for You? Begin your search looking for dentists whose hours and location suit your schedule. You are a lot less likely to make time for routine dental care if you have to drive all the way across town to receive it, or if the office is only open during work or school hours. Nelson Dental Care is located conveniently in Doctor’s Row at 3939 Houma Blvd, and we are open on Saturday mornings to accommodate patients who work regular office hours during the week. We want to make it as easy as possible for you to get the dental care you need -- without having to rearrange your schedule to do so! Do You Feel Comfortable at the Office? Once you have your list narrowed down to one or two options, take some time to visit the office. What is your initial impression? Does the practice seem clean and well-organized? Is the staff friendly and attentive to your needs and questions? If so, that’s a great sign. You may have just found your new dental home! We are confident your search for the best dentist in Metairie, LA will lead you right to our doorstep. Dr. James Nelson is the dentist your friends and neighbors trust -- and we invite you to find out why by contacting Nelson Family Dentistry to learn more. Feel free to contact us or request an appointment online for superior dental care today!